Please Select Beatson Clark Noelle + Von Ca..
Jars Bottles Direct is the trading name of SS Croxson Enterprises Pty Ltd.
With more than 15 years of experience and over 130 years experience within the family the owner Stephen of SS Croxson Enterprises moved to Australia with his family in 2010. Stephen started the UK website jbconline and is still a part owner of this well established business. 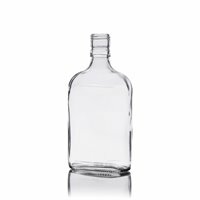 With their family experience SS Croxson Enterprises are also the Agents for the worldwide Glass Bottles, Jars and Closures as a result they can supply anything from small carton quantities through to multiple containers and large multi million bottle / jar contracts. SS Croxson Enterprises are also able to source glass locally. Copyright © 2019 Jars and Bottles Direct. Powered by Zen Cart. Responsive Zen cart templates by Picaflor Azul.